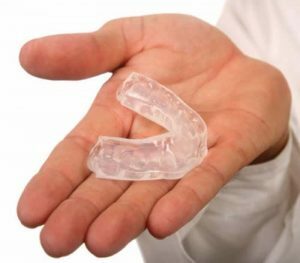 mouth guard- Dr. Yeun's dental office is your caring Scarborough dentist! 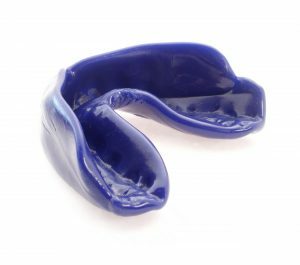 Mouth guards are resilient plastic appliances designed to cover over and encase a person’s teeth and the gums and bones that support them. The guard is meant to provide protection for the teeth, jaw, lips, cheeks and gums by absorbing and redistributing the impacting forces of teeth grinding or injuries to the area of the mouth. A custom-fitted mouth guard is designed specifically for you to perfectly fir your dental arch and provide the best protection. Dr. Yuen always makes sure that you’re comfortable wearing your mouth guard and it does not hinder your ability to breathe and speak. Night guards are extremely important if you tend to grind your teeth or clench your jaw while sleeping. This hard to control habit can cause other health problems, such as chronic headaches, earaches and jaw pain. The night guard absorbs the pressure caused by teeth grinding, preventing your teeth from getting worn down and the pressure from affecting your jaws and ear, among others. Sports guards are recommended to all our athlete patients, or patients who partake in high intensity daily activity. They ensure the safety of your teeth during any sport encounters, accidents, or injuries. The sports guard absorbs the pressure exerted by any force to the mouth area, leaving your teeth, jaws and gums healthy and in one piece.